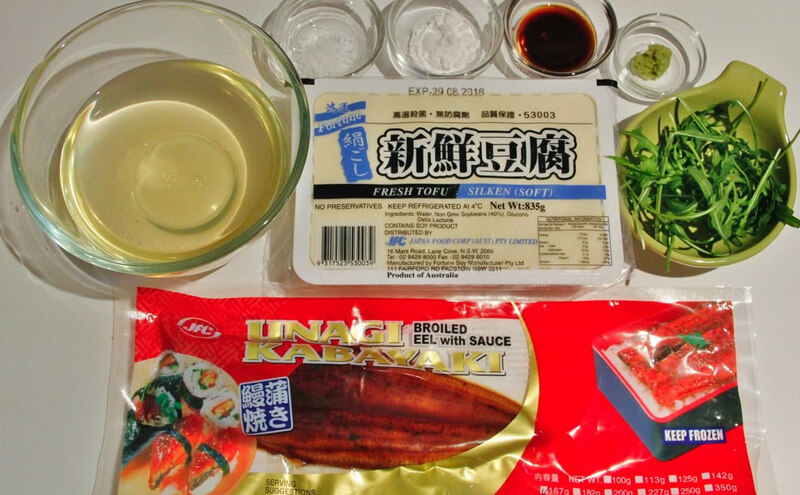 Heat up JFC KABAYAKI UNAGI in accordance with the serving direction (see the eel package). Then place on top of warmed tofu. Put potato starch and water into small bowl, and mix well. Then add potato starch mixture into dashi stock over the medium heat until it comes to boil. 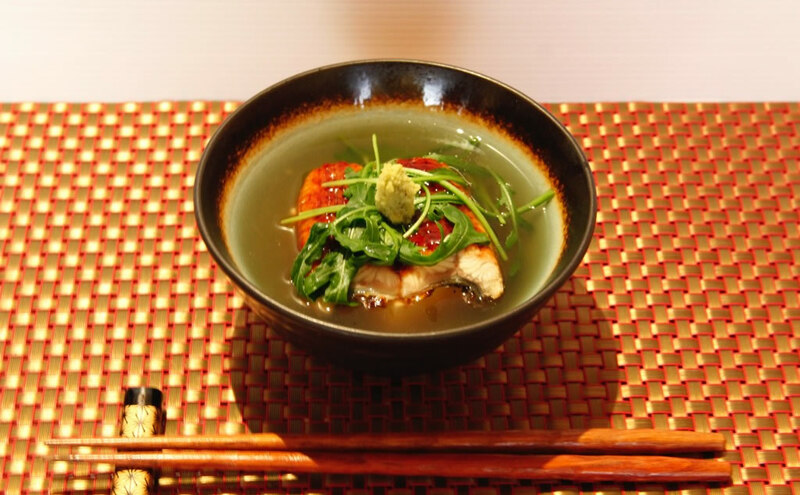 Pour the dashi on top of eel and tofu, and garnish with wasabi and rocket.